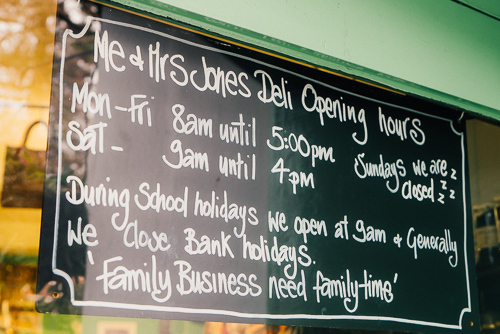 Welcome to Me & Mrs Jones Deli, a Beautiful Extension of our Family Kitchen. ‘I’ve always wanted a deli’ said Mrs Jones for several years…………. Little did she know that in her silver wedding anniversary year a perfect property within the delightful Wellswood village would come onto the market. And then instead of a new silver teapot Penny Jones ended up with a huge project, close to her heart, home, local community and friends. A foodie through and through and known for being ahead of the curve in all things gastronomique, Penny has thrown her heart, soul, half her friends, family and contents of her own kitchen into this unique, delicious, fun, tasty, welcoming, quirky and quality Deli. 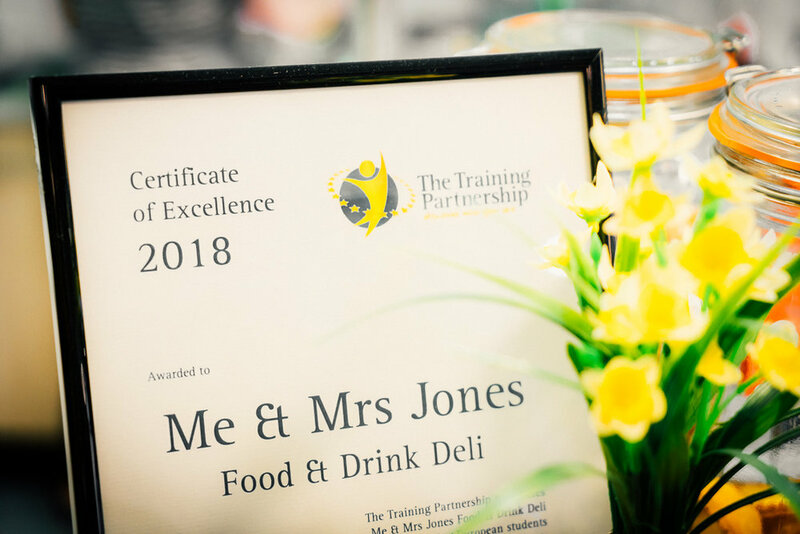 The first year of trading over and we can add award winning, successful and established to the list of adjectives to describe Me & Mrs Jones Deli! 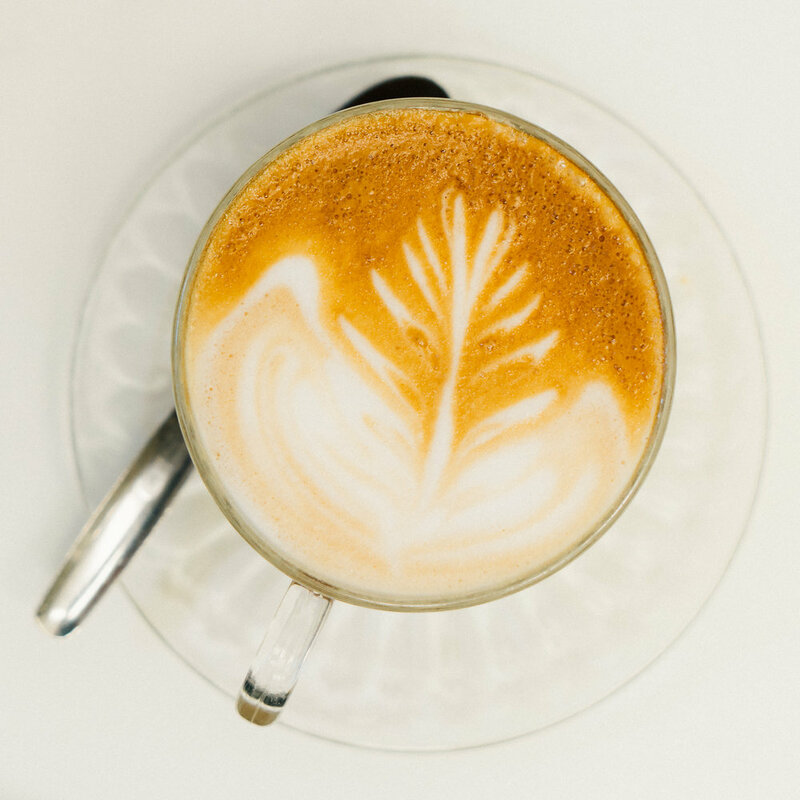 With something on the menu to suit all tastes (gluten free, vegan, vegetarian, rare roast beef and seafood too) and with consistently excellent feedback from our customers, the Deli Mrs Jones had always wanted is synonymous with a welcoming place to meet friends and family or just sit quietly on your own with a cup of coffee, renowned for its excellent cuppas and fantastic food. A real asset to the local community in Wellswood, Torquay and the South West. You can download our menus below, but be sure to pop in to view our specials which are updated daily, they're tip top! 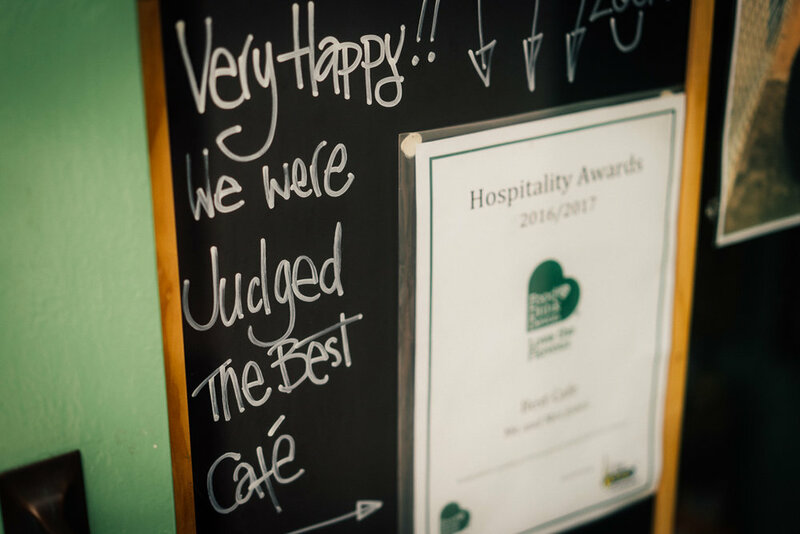 Whether you’re entertaining at home or have hired a venue, big or small, Me & Mrs Jones Deli can take the catering worries off your hands so you can sit back and enjoy the paaaaarty! 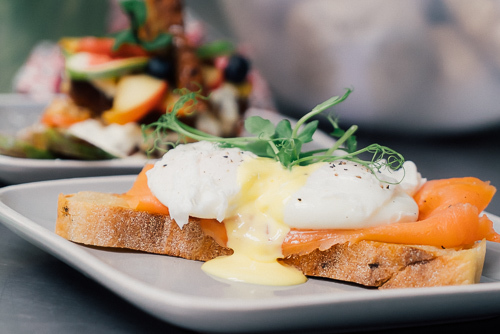 Come and talk to us about your event and we can come up with a tailored menu to suit your needs – bring in your dishes and we can fill them with some of our Deli delights! Mrs Jones has sprinkled her magical culinary dust over many family parties, corporate events, weddings, bar mitzvahs etc.. over the years with fantastic outcomes and feedback. We can also arrange ‘Deli food on the go’ platters for those important meetings/events when a quick stop to re-fuel with tasty, wholesome goodies is needed to feed those creative juices for a productive afternoon. The unique, sparkly and cosy deli can also be used for small private parties. For those very special events when you really want to push the boat out (maybe you’ve even won the lottery!) we can create a special menu, matched with wines, fit for your occasion…….. or you can just eat and drink what ‘Me’ tells you to!! The atmosphere in the Deli at night with the fairy lights on, music of your choice in the background, wine flowing, marvellous food to eat and your special friends around the tables is very precious and sets the scene for an unforgettable evening. Whether it’s a wedding, special birthday or you just like eating cake come and talk to us and our small team of brilliant bakers. We don’t do novelty cakes where the decorations outshine the substance of the cake, what we do specialise in is tasty, well baked, moist and light cakes where the taste takes centre stage. All the cakes we sell over the counter can be bought as whole cakes and decorated to fit in with your theme and we also have some special cakes up our sleeves too!! If you’re looking for novelty cakes we can recommend Sam Bennett – Simply Delicious. We all have those moments in our lives when only a golden teapot will do. Guaranteed to put a smile on your face and make that cuppa extra special even in the most challenging of circumstances. We serve tea in golden teapots in memory of those friends who are no longer here to enjoy a cuppa with us. 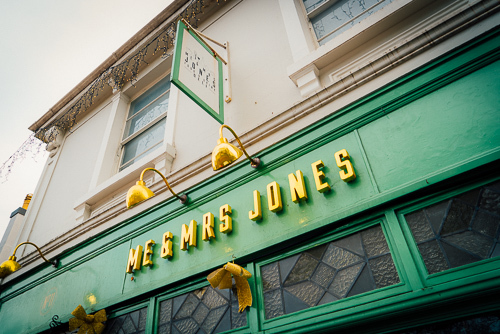 Mrs Jones – cooking since she was 2 years old and with shed loads of catering experience under her apron, there’s nothing this lady doesn’t know about making everyone feel welcome, at home and full-bellied! Mrs Jones goes out of her way to ensure there’s something exciting and tasty on the menu for you regardless of your dietary restrictions. 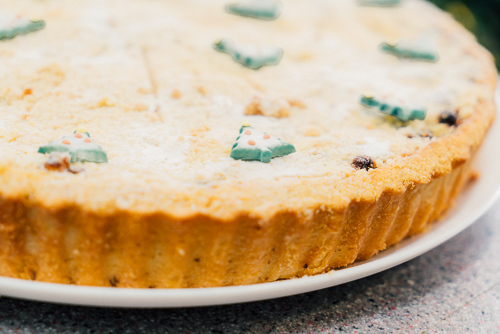 Cooking and creating on a daily basis, Me & Mrs Jones Deli is very much Mrs Jones’ baby until the grandchildren come along that is……………..
‘Me’ – Long suffering husband of Mrs Jones (or should that be the other way around?). 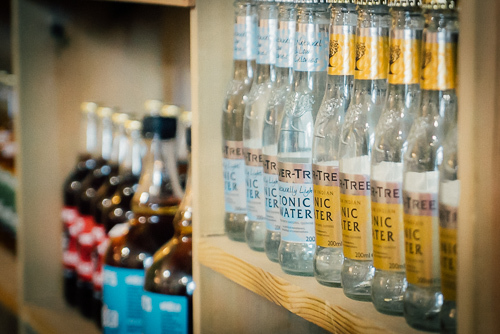 This whirling dervish knows no bounds – an aficionado on all things food and drink, ‘Me’ keeps a close eye on what we stock and is always on the lookout for new products – he’s the hellraising, trailblazer of the Deli. We all definitely know when ‘Me’ is in the building! Jo – She just gets Mrs Jones (well they are sisters-in-law) and has the amazing power of being able to read her mind! Working hard in the kitchen doing what she does best, Jo is rarely to be seen by customers preferring to get on with her cooking and baking than stealing the limelight from the attention seekers behind the counter!!! Occasionally Jo’s let out of the kitchen but only when she’s got her lippy on! CKP – A suave and sophisticated septuagenarian, never seen without his hat, gloves and sunglasses, bringing a touch of class to Me & Mrs Jones! Chris is a reliable errand runner and on Fridays can be found on the backroads to Dartington with a load of sour dough in the back of his car. Oh, and he’s Mrs Jones’ Pa by the way, who paved his own successful career in the hospitality and catering industry, thus instigating the hospitality powerhouse that is the Powell family! Aimee - A former protégée of John's from their Jolly Farmer days 10 years ago, Aimee joined the deli back in Sept 2017 and without a shadow of doubt has fitted in a treat. 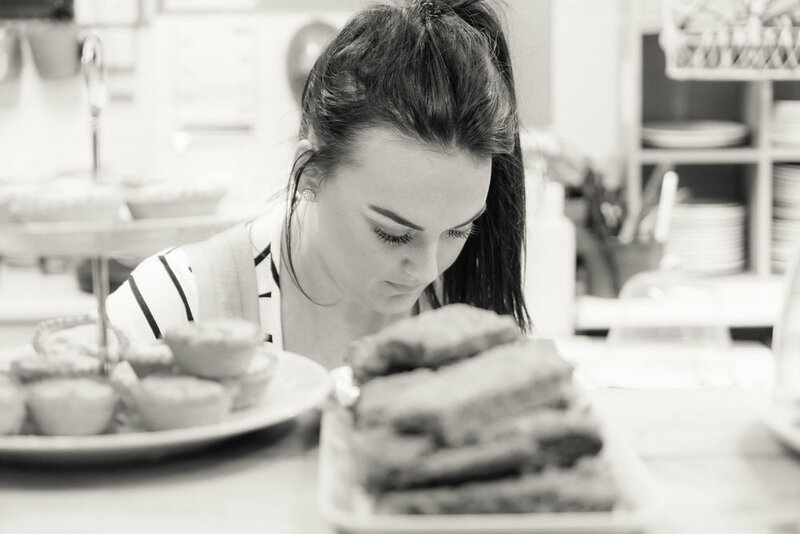 Hard working, fun, creative and with a keen taste for flavour, Aimee has quickly become a real asset to our growing team! Lisa Brown Hair – Because she is the Lisa with the Brown Hair! Often to be seen wearing a brightly coloured scarf in her hair and without it almost looks naked! Leisa – Aka ‘the other Leisa’ and, although she has blonde hair, isn’t known as Leisa Blonde hair – that’s how we roll! She likes to make sure all the plates are stacked according to colour and size. We couldn’t possibly comment on who mixes them up shortly before her shift starts! Kate – As unique, sparkly and shiny as our amazing décor. But be careful not to be fooled by her innocence, she spends a lot of time on the Me & Mrs Jones Deli’s naughty step! Al – Simply beautiful, intelligent, helpful, loving, kind and caring, apron, mistletoe and birthday bunting maker extraordinaire, oh and she wrote the content for the website too, not that you’d ever know!!! Janet and June – The systematically shiny soapsud sisters, we’re never sure which one of them is going to turn up but they always make light work of ensuring our pots, pans, plates and cutlery are super clean and shiny. Also to be found dabbling in the kitchen. Soo – Mother to our lovely Zoe which means mother in law to Mrs Jones’ brother Drew, Soo is yet another family member reinforcing the team with knowledge, humour, attention to detail and a professional approach to her work. She loves nothing more than a highly polished golden teapot. Every kitchen needs a Soo! Alison – A close friend who keeps a close, caring watch over Mrs Jones making sure she doesn’t have sleepovers in the Deli and actually makes it to her bed at night! We love her for this! She’s also a whizz at closing down the Deli every night ensuring it’s bright, clean and sparkly for our early morning customers – thank you Alison! Abi – The Saturday dream team washer upper, adding an extra pair of hands to help clear up after those late weekend brunchers and lunchers! Zac – One of the very tall nephews of Me & Mrs Jones and our Saturday Barista extraordinaire! He has good taste and a great knowledge for cheese – and we don’t mean Peter Andre, Aqua or Whigfield! Louis - The other very tall nephew of Me & Mrs Jones, a great cardboard crusher, recycling sorter and remarkably helpful odd job man. Also to be found volunteering in the Wellswood Rowcroft shop. Ellie – She’s soooooo lovely. Cute and harmless – she wouldn’t dream of poking anyone in the bum with a knife (Kate - please take note!). Your kittens would be very safe and loved with Ellie! Olivia - Keeping it in the family we also have Ellie's sister Olivia filling in at weekends and holidays when she's 'resting' from her life as a Sports Science student. She's basically a carbon copy of Ellie, except for her penchant for drinking shots apparently, although we couldn't possibly comment..............! 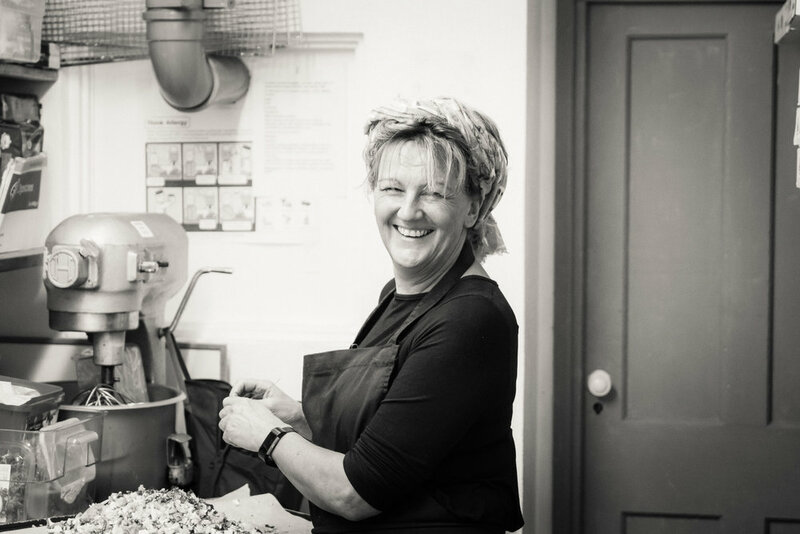 Charlotte – This ‘light fingered pastry maker extraordinaire’ works on a Monday, setting the Deli up for the week ahead with a whole bunch of tasty cakes and pastries. 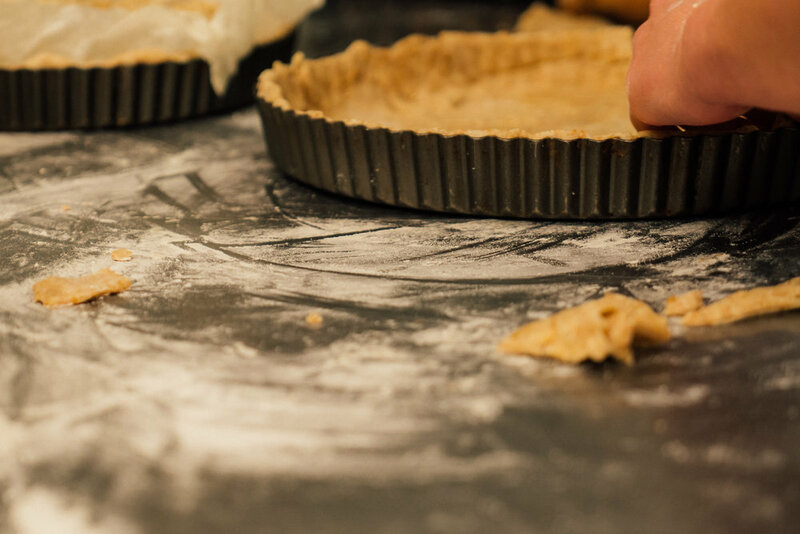 Our tarts would be nothing without her exacting approach to pastry making. We attended many food festivals and trade shows, big and small, and carried out umpteen tastings (hard job I know but someone’s got to do it!) to ensure we select only quality products that have the best flavours. A craft bakery based in Dartington producing the most amazing sour dough bread. Deliveries arrive on Fridays, thanks to CKP (aka Mrs Jones’ Dad), so make sure you come in early or call in advance so we can reserve a loaf for you. We stock white and sprouting rye sour dough – not only are they good for you but they look so pretty too! And if a whole loaf is not for you, slices of toast are an integral feature on our breakfast menu – mmmmmmmm delicioso! Supplying us with the vegetables we need to create our delicious Deli goodies, Alex D’Aprano and his Roots Greengrocers are a little bit of a family tradition for us. In fact, Alex D’Aprano’s Dad supplied the Jones family businesses over 25 years ago. Some traditions are worth holding on to! Obsessively passionate about good quality bakery products and local fresh food, Panino supplies Me & Mrs Jones Deli with speciality breads and viennoiserie. Every Panino bread is produced by regional craft bakeries using traditional and established baking methods to ensure customers are offered the natural, authentic and fresh taste they demand. Croissants, Pain Chocolat, Chocolate Twists, Almond Pastries for the sweet tooth and daily staple of good quality bread – Organic White and Brown Bllomers, Seeded Wholemeal Loaves and a variety of Baguettes and Chubbies. Baked in the Deli daily to ensure the freshest possible breads and sweet goodies! Crazy scotch egg making guys. Throws in delicious pies. A highlight of our week is when Richard comes in with our eggs and talks about his latest escapades. Black Dog Eggs are used in all our baking and cooking (they’re a staple on our breakfast menu) and we also sell large and extra-large in the Deli. Black Dog hens are free range and have 70 acres in which to roam on a farm near Crediton. The hens are fed a healthy and balanced natural diet of wheat, soya and sunflower seeds ensuring the eggs of a higher quality and packed with flavour. We pride ourselves on being an integral part of the community of Wellswood, a row of predominantly independent shops offering high fashion, beauty and hair treatments to a well-stocked Post Office (hello to our new postmistresse Gayle and Adele – Dorcas hasn’t a patch on you guys! ), chemist and opticians. We have played a key role in bringing the Wellswood Christmas Street Party back to fruition. The local community were invited to our 1st & 2nd year Little Lane Parties and, if you’ve seen the video footage on our Facebook page, most of them came along to celebrate with us. We sponsor Ilsham Primary School’s Pupil of the Month Award by inviting the winner to come over to us for a well-deserved hot chocolate or ice cream treat. We’re not stupid – they’ll be our Saturday girls and boys of the future!